Jerry Lorenzo‘s Fear Of God boasts a fervent following and extravagant price points. 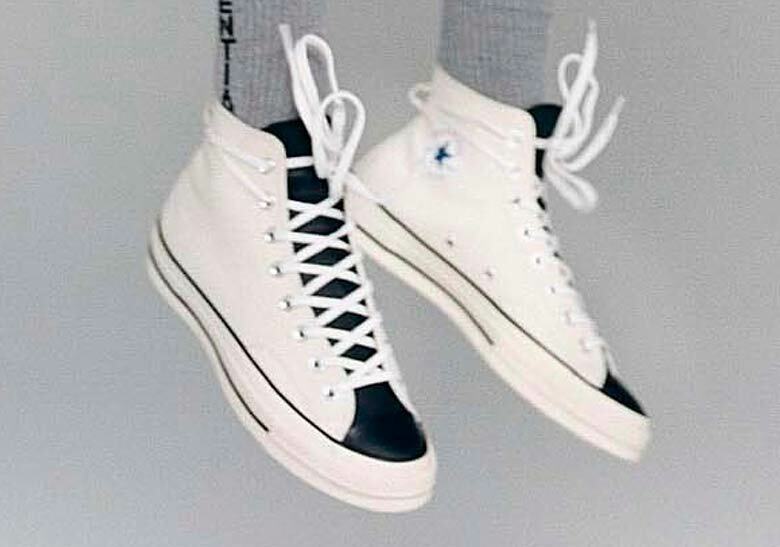 The designer’s unique take on classic wardrobe pieces boasting extra-long drawstrings and slouchy fits have inspired many an imitation over the past few years, and Lorenzo’s collaborative footwear has become highly desired as well. The designer has worked with Vans on shoes the Vans Sk8-Hi and Vans Era, reportedly has a collaboration with Nike—possibly a SF-AF1—on the way, and recently revealed two signature iterations of one of the most iconic sneakers of all time—the Converse Chuck Taylor—as part of his upcoming FOG Essentials line. Utilizing the same combination of cream and black from Lorenzo’s 2016 Vans collab, the famous designer’s take on the Chuck provides a stately, high-end aesthetic. One pair opts for a two-tone look, with cream used on the lateral and medial panels, while black arrives on the throat and toe cap, seemingly splitting the shoe directly down the middle. 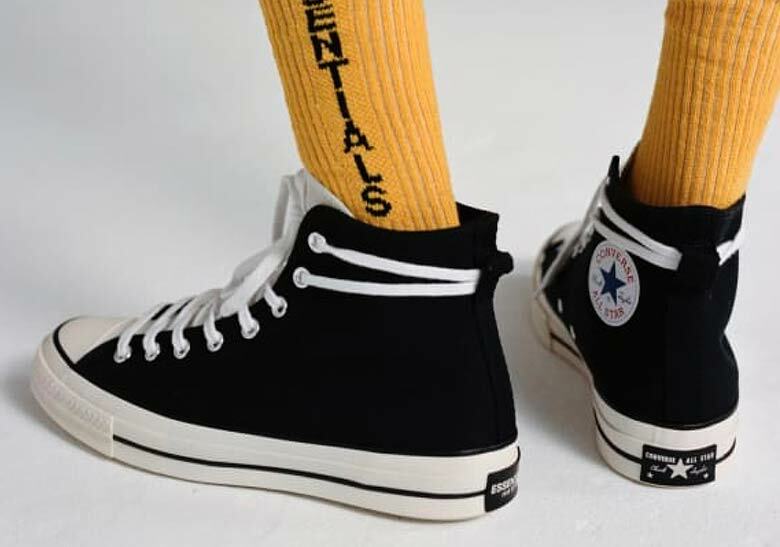 The other pair elects to keep things classic with a simple black upper, making for a style that’s very similar to an OG Chuck. There’s more though: it wouldn’t be a FOG collaboration without a plentiful helping of little details, and both pairs offer them in spades. 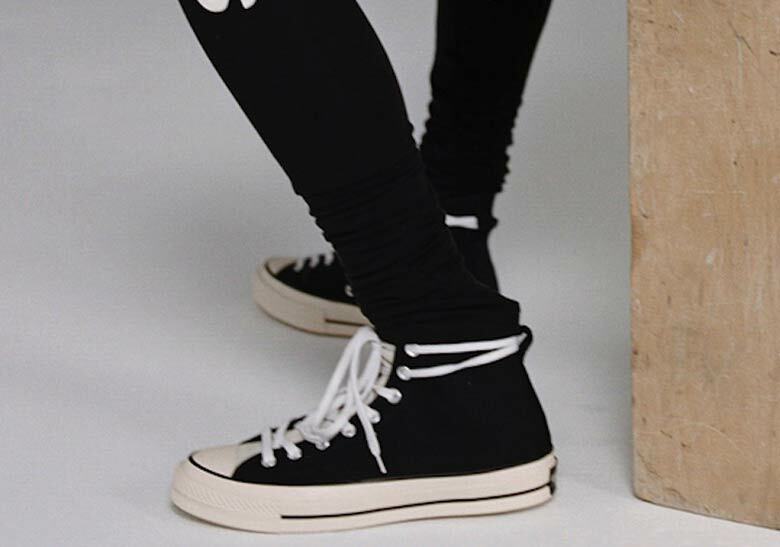 Extra-long laces are secured with a heel loop, the medial midfoot boasts a single metal eyelet instead of the usual duo, and the left shoe’s classic Converse heel tab is replaced with a FOG essentials patch while the right heel is left untouched. An official release date has not been revealed yet—but the FOG Essentials line is set to release in September, so it’s likely the shoes will as well. 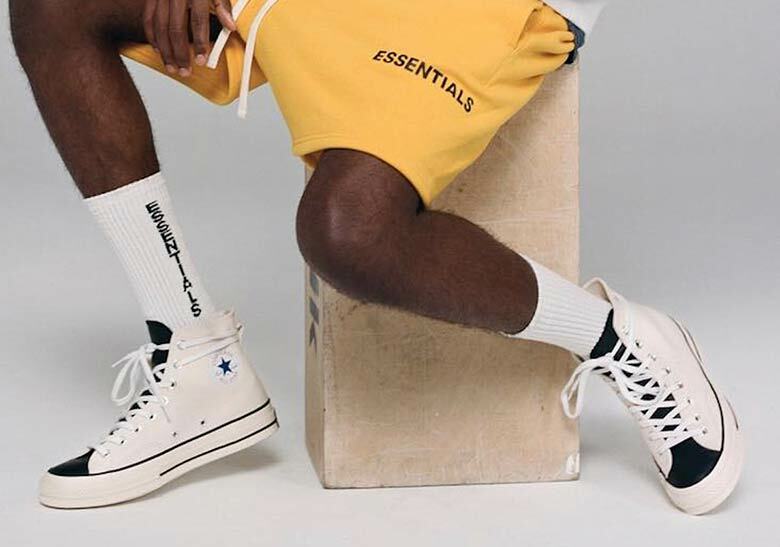 Enjoy a look at the new Chucks below, and keep it locked to our Sneaker Release Dates page for info and updates on this collaborative release as they’re available.